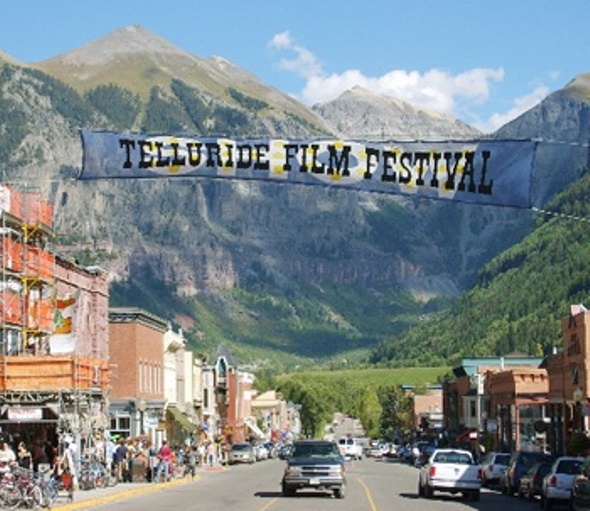 The Telluride Film Festival was created by local residents in 1974 and drew immediate attention by honoring not only director Francis Ford Coppola and actress Gloria Swanson but also the Nazi documentary filmmaker Leni Riefenstahl. The Telluride festival has continued to draw top Hollywood movies and stars, as well as hard-core film fans, thanks to a Labor Day weekend schedule that falls conveniently between the Cannes Film Festival and the Toronto and New York festivals. The film figures honored by the festival include Penélope Cruz, Daniel Day-Lewis, Catherine Deneuve, Gérard Depardieu, Clint Eastwood, Jodie Foster, Jack Nicholson, Peter O’Toole, Mickey Rooney, John Schlesinger and Meryl Streep. The artists who have designed the poster art for the festival include such major figures as Chuck Jones, Jim Dine, Ed Ruscha and Gary Larson. The festival shows 40 films in nine locations, including the Sheridan Opera House, local schools, the ski area’s conference center, other buildings and an outdoor venue, starting Friday night and ending Monday night. It offers four types of festival passes and regularly sells out well in advance.